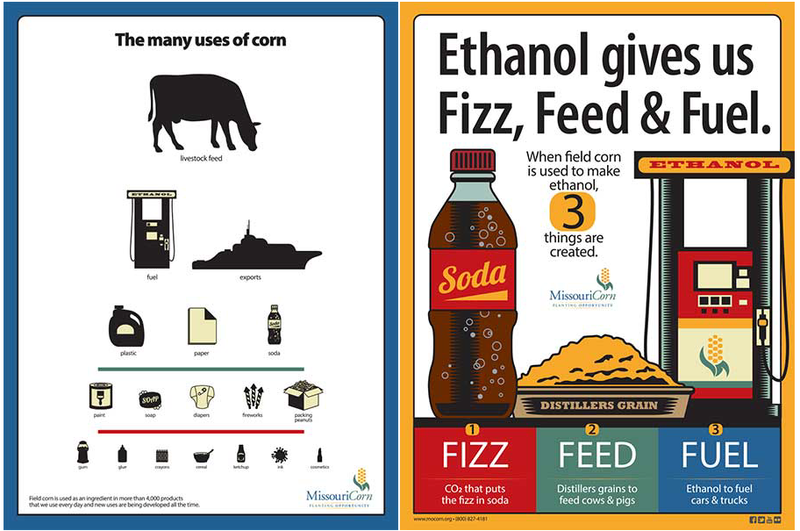 Informing students on Missouri agriculture allows the next generation to better understand how today’s food, fiber and fuel is produced. It also allows our youth to explore one of the most important sectors of our economy. 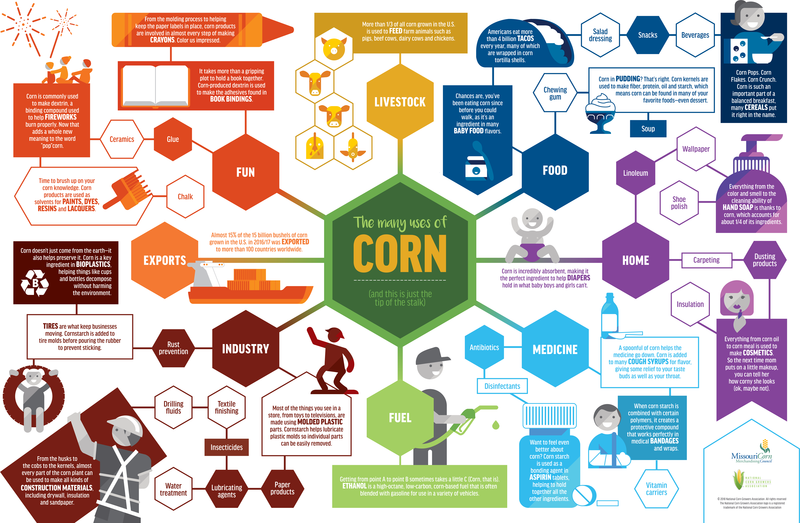 “Corn in the Classroom” educational materials include three easy lesson plans designed to educate students on the importance of corn and the role it plays in our everyday lives. 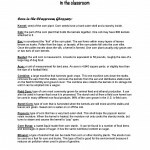 A PowerPoint, “Make Your Own Corn Plastic” activity sheet, “Finding Corn in Your Home” activity sheet, “Corn in the Classroom” activity book and “Corn Facts for Teachers” are also available to enhance these lessons or can be used as stand-alone educational tools. 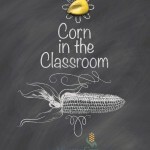 Lessons include the “Basics of Corn,” “Many Uses of Corn” and “Corn in the Environment.” While entertaining, these educational plans target grade level requirements for Missouri third graders in science, math, social studies and health. To order copies of the “Corn in the Classroom” activity book or poster, please complete the form below. 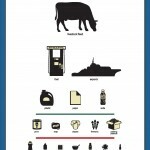 Please limit poster orders to one per classroom. For any questions, please contact Hilary Black, outreach coordinator. 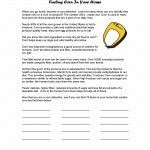 Encourages students to find 15 items made with corn in their home. 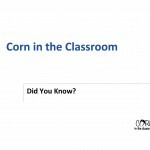 If you have any questions, or would like to request copies of the “Corn in the Classroom” activity book, contact our office. 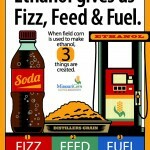 See News Releases for additional Missouri corn information. State* Alabama Alaska Arizona Arkansas California Colorado Connecticut Delaware Florida Georgia Hawaii Idaho Illinois Indiana Iowa Kansas Kentucky Louisiana Maine Maryland Massachusetts Michigan Minnesota Mississippi Missouri Montana Nebraska Nevada New Hampshire New Jersey New Mexico New York North Carolina North Dakota Ohio Oklahoma Oregon Pennsylvania Rhode Island South Carolina South Dakota Tennessee Texas Utah Vermont Virginia Washington Washington, D.C. West Virginia Wisconsin Wyoming ------------- Outside US / Canada Alberta American Samoa Armed Forces Americas Armed Forces Europe Armed Forces Pacific British Columbia District Of Columbia Guam Manitoba New Brunswick Newfoundland Northern Mariana Is Northwest Territories Nova Scotia Ontario Palau Prince Edward Island Province du Quebec Puerto Rico Saskatchewan Virgin Islands Yukon Territory onchange="validatePresent(this, 'state_errormsg', true);"